On Friday nights my Twitter feed will be full of people salivating over Nigel Slater's recipe, and we do the same too. I love how simple his recipes are, and how everything is achieveable at home. Not too many ingredients, not too much faff. 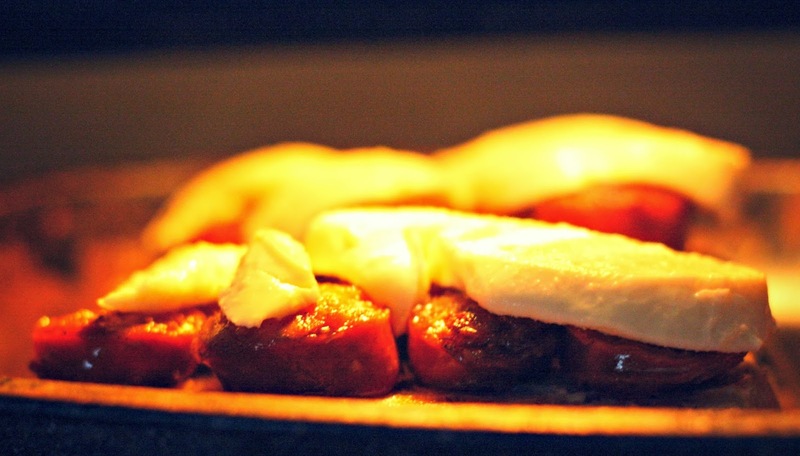 We regularly look at certain dishes and say "We should make that" and then end up forgetting about it, but recently we saw a recipe we were definitely not going to forget as it features Chorizo and Mozzarella. Ooooooooo. 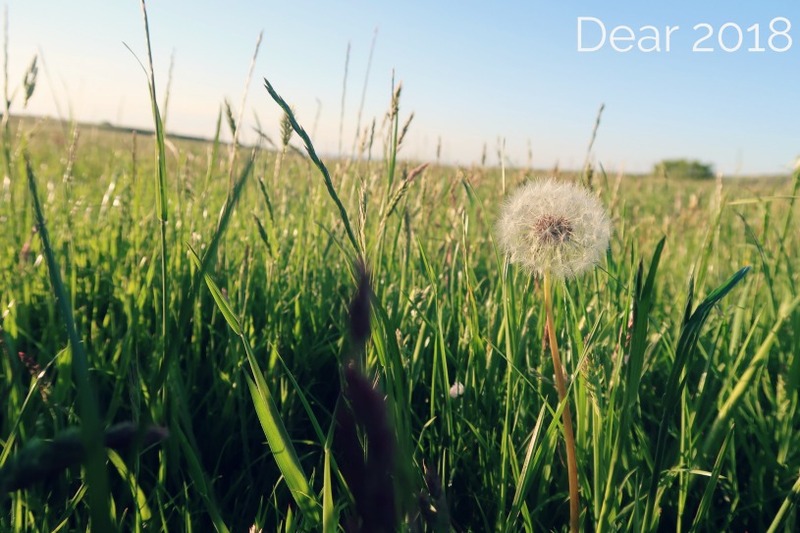 Lunchtimes are a little uninspiring for me at times and I loved this idea. We had it one Sunday as a special lunch, we tend to make more effort with sandwiches on a Sunday for some reason, but I will definitely make it in the week too. My husband had slices of Sainsbury's Kalamata Olive Bread, but it was a little to stale for me so I went for Tortilla wraps instead. I made ours a little different to Nigel Slater. 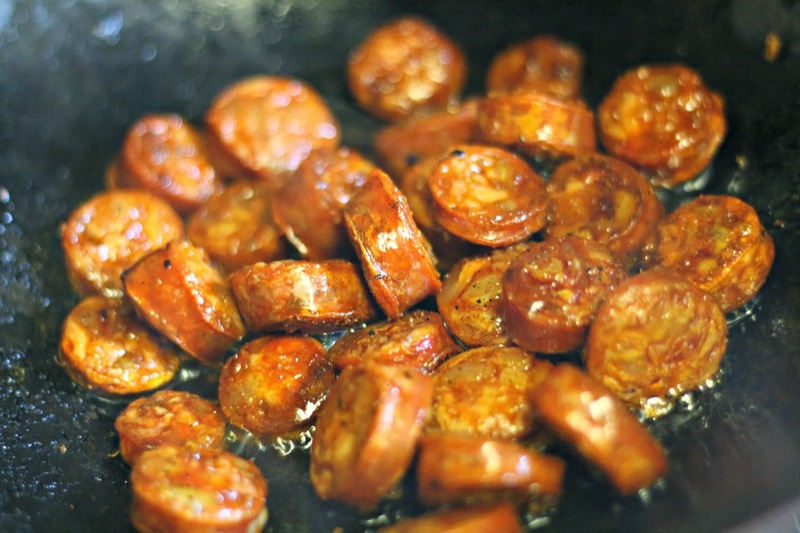 Cook the Chorizo, although it's quite oily I tend to add a little bit of oil to the pan so it doesn't stick. I used some Chilli Oil to add even more of a kick. 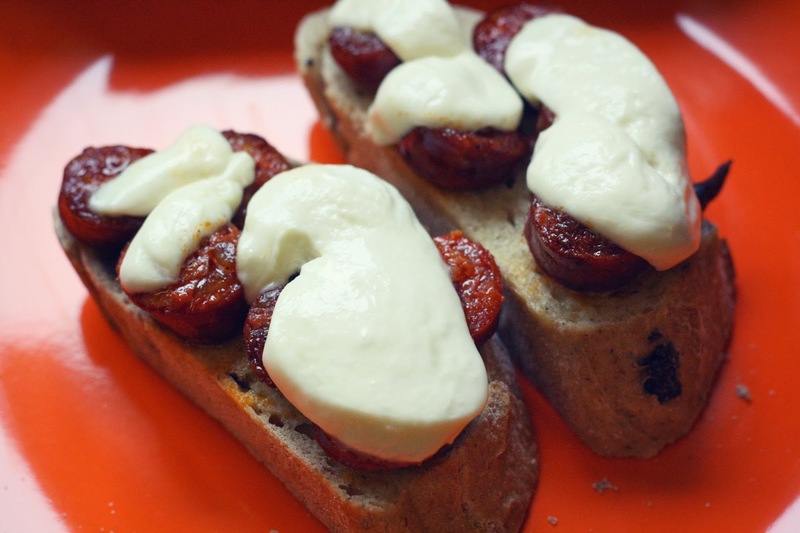 Arrange the Chorizo on the bread and lay the Mozzarella on top of the Chorizo. Put this under the grill until the Mozzarella begins to melt/bubble. 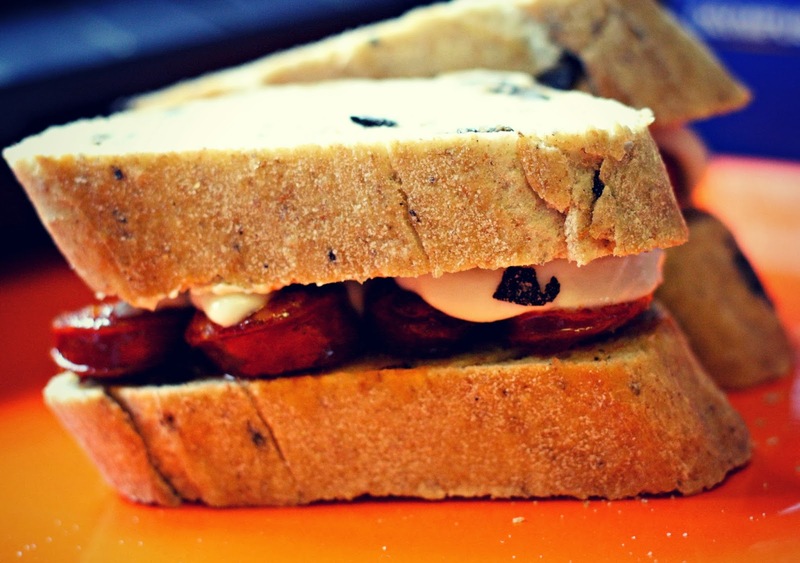 You could then just serve like this, or add another slice of bread on top to create a sandwich. 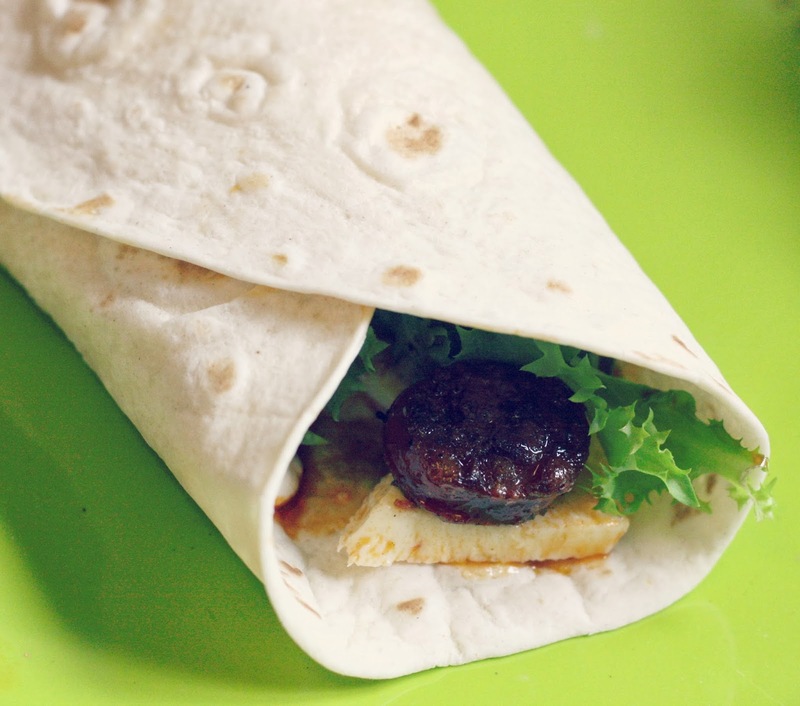 Slice up the Mozzarella and arrange down the centre of a Tortilla wrap, along with some salad. 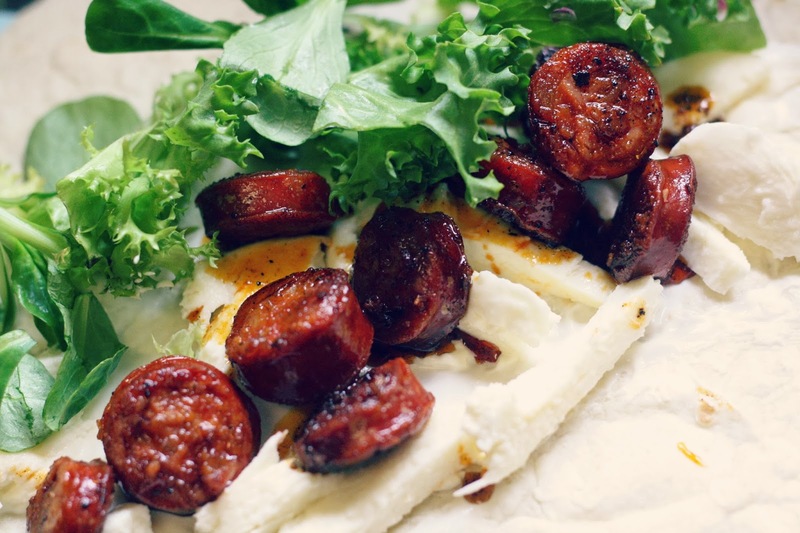 Once the Chorizo is cooked, arrange that on top of the other ingredients. Drizzle on some of the oil left in the pan/wok. 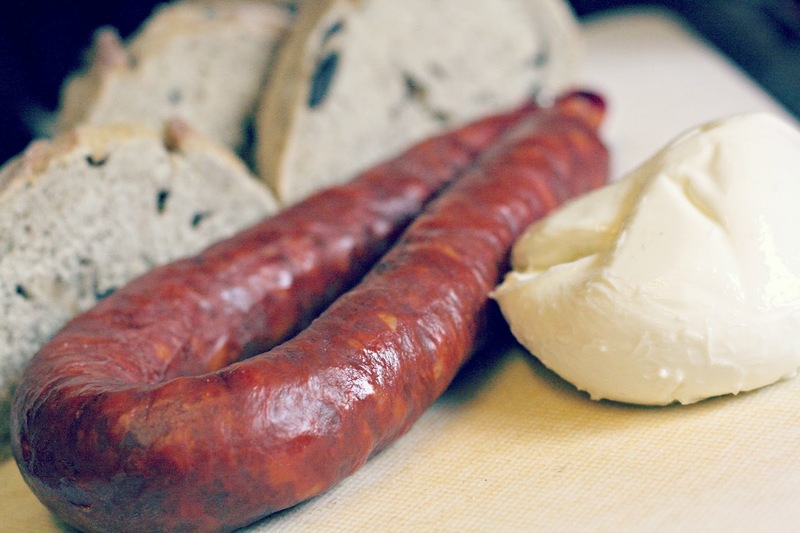 Add some creme fraiche to stop the wrap from being too dry. 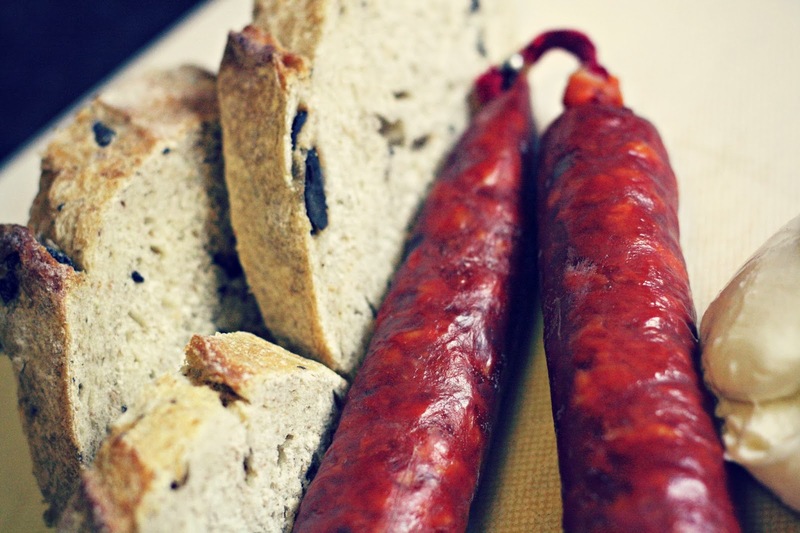 Little additions I would make next time: I would add some olives, red onion and sundried tomatoes.